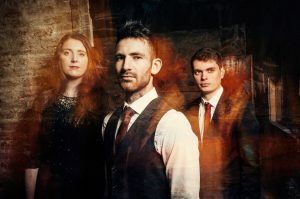 Home › Culture › Celtfest Isle of Man – A Fresh New Look for a Familiar Festival! Celtfest Isle of Man – A Fresh New Look for a Familiar Festival! There’s a fresh new look for a familiar festival later this month as the much cherished Yn Chruinnaght Inter-Celtic Festival steps forward with a resplendent new make-over, in an effort to introduce Manx and Celtic culture to a wider audience. With Yn Chruinnaght as the organising force behind the festival, Celtfest Isle of Man will focus this year on a fine selection of upbeat Celtic music, showcasing some of the finest bands and solo artists from Ireland and Scotland – with a number of concerts to suit all tastes at the Centenary Centre in Peel. Talisk (winners of the 2015 BBC Radio 2 Young Folk Award) will include Mohsen Amini (2016 BBC Radio Scotland Young Traditional Musician of the Year) who made a memorable impression on a local audience with the phenomenal Manx debut of Ímar. Meanwhile Armagh born singer and flautist Rioghnach Connolly, who has been a previous guest of the Centenary Centre and the Isle of Man Blues Festival, will also be making a return visit to the Island. She’s well known for fronting the foot stomping Honeyfeet as well as a regular guest of the revolutionary Afro Celt Sound System. 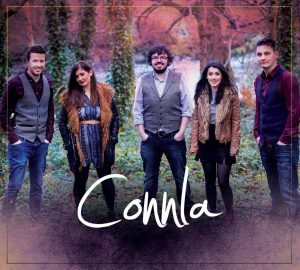 Connla, reported to be the latest hottest group out of Ireland, will also be setting their sights on the annual Manx festival, with their driving tunes and stunning songs, as will Hamish Napier with his soundtrack celebrating the Spey entitled The River, featuring a mesmerising who’s who of Scottish music. But there’s plenty of entertainment in the daytime too, which includes a new free, family day called The Gathering. To be held at Cathedral Isle of Man, it’s a great opportunity to relax and enjoy music and dance, an artisan craft fair and local food and drink, alongside mini workshops and children-friendly activities. Look out for a selection of Manx performers, Celtic harpist Rachel Hair, yarn-spinner and puppeteer Fi Angwin, and a whole host of innovative entertainment. Celtfest Isle of Man organisers have also teamed up with Noa Bakehouse to bring music lovers a week of free lunchtime sessions and mini-gigs, featuring talented local singer/songwriters and musicians. A busy outreach programme will include concerts featuring both visiting and Manx acts for eight hundred school children. 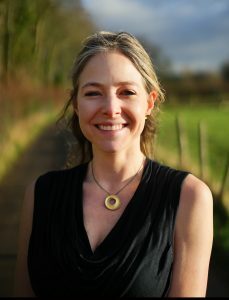 Although online tickets are now sold out for the festival’s opening talk on The Celts by Professor Alice Roberts, other tickets for evening events are still available. Organisers of Celtfest Isle of Man are grateful for the support of Culture Vannin, the Isle of Man Arts Council, Thornton Chartered Financial Planners, the Isle of Man Steam Packet Company, Conister Bank, Shoprite and the Malcolm Scott Dickinson Charitable Trust. Tickets available from www.celtfest.im with further details about the festival available from Facebook, Twitter, the website, or by phoning 302200. Help Ellwyn with his MA research and receive a Celtic flag! Celebrating 40 years of The Manx Society of Minnesota – Come and join us! Manx Mum on The Story of the Bollan Vane, courtesy of the World Manx Association tent at Tynwald.